You can write the best post for your content, but if the title is not good… nobody will read it, and that is the truth. So why to spend lots of time doing the research for your next post and spend one or two hours typing on your laptop when you don’t spend more that 5 minutes to think on writing the best title for that post? Once you know how important the title can be, you will be spending some time to craft the best headline for every article for your blog, and soon you’ll see the results, more people will find you on the internet and your readers list will grow day by day. Adding a number or specific data will help your blogs post to be read, studies have found up to the 73% of the time headlines with a number will get more reads. When using numbers in your headlines go for odd numbers, as people’s brains tend to believe more on them than even numbers, it seams odd numbers tend to attract people’s attention more easily. People want to believe in luck so if you include number 7 in your title there will be more chances to get more reads. A reader will look for a good reason to spend 5 minutes reading your article, so if you find the way to add a good reason in the headline, you can be sure your reader will make a stop and take time to read it. Just a low % of blog post will get a share, but if you get your readers a strong reason they will read it and it will get shared. Reasons = 9 reasons why you should sign up to my newsletter. Ideas = 7 ideas to write your first e-book. Lessons = 25 lessons I learned after 5 years blogging. Facts = 7 facts to help you to save time when you write your blog content. Strategies = 3 strategies that made me all sold out for my first e-book. People as human beings use to have in their minds about 100 things at the same time, according to Statisca a person attention span is 8.25 seconds. 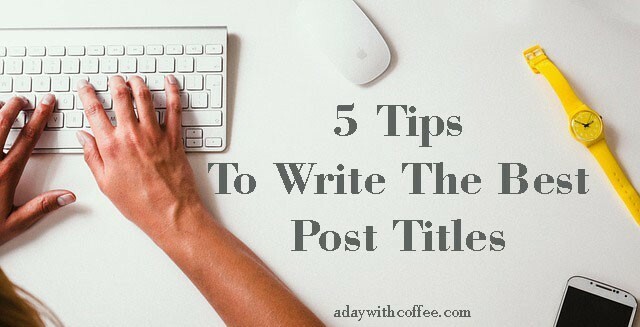 By writing a great title for your articles you will give a person a good reason to read more. And you need to keep that attention in the first sentence. You need to put your work to craft better headlines for your blog. To help you to write headlines to get the readers attention you can use the 4 U’s of copywriting tips for great titles & copy. a) When you’re writing a new article for your blog, most probably you’ll make a reasearch of the topic, write down on a paper the titles on the articles you read to have an idea of what your article title should be. Then, try to find a way to make some tweaks on your first idea for a title for your new article, until you find a new idea for it, if you can’t find any or after you have an idea or two, you can check on Google to see how many blog post have the same title. Many bloggers will be targeting the same keyword, but your work is to find a unique title for your new article. When you plan to write a new article for your blog you need to be ultra-specific on the topic, there’s no better way to lose a reader than write a title that will give the sense of having no idea what they will get to read about on your blog. Readers are looking for a way to solve a problem and you need to be specific, to give them the right information they are looking for in your content. You have one ticket to convince that first time reader into a loyal reader. If you’re sharing 7 tips to wirte better blog post for your readers, go ahead and write those 7 tips to help them to write valuable content for their readers. Know your readers and write the headlines to meed their needs. 5 ways to start working from home today. When you write your headlines be more specific so that you can be helping your reader to solve a problem in time. c) It should have a sense of urgency. Your reader needs to find a solution to their problem right now, not in a month or in a year. By adding a sense of urgency you will help them to solve a particular problem and you’ll get more reads to your article. On the other hand, when you’re planning your product or service campain you need to add a sense of urgency in the titles, to let your client know there’s a period of time to get it. Copywriters share how they can improve conversion rates when they include a sense of urgency strategically in their copy. Your potencial client tends to respond faster, as they can think your offer is only good for a short time, and if they don’t get it right now, they might not get it later. Scarcity and urgency are two powerful copy elements that can help you to get more conversion rates in your business. You can find very often the use of these two copy elements on ecomerce, for example on Amazon with great sales results. d) Your titles need to be useful. When you think about writing a new headline for your blog, you should always think about your audience and the problems they face everyday, the more you understand them and the more you know about them, you’ll get to know their problems and you’ll know how you and your product can help them to have a better life. When you write a title always include a benefit for your audience. How to write a newsletter your readers will open. 7 Tips to find your new product for your audience. How to write a blog post in 20 minutes. 3 worst things nobody will tell you about blogging. How you wonder why nobody reads your blog? Do you feel (a common problem to your audience)? Looking for some titles for your newsletter? If you’re going to read just one e-mail today, be sure this is the one. I have reached success, why you have not followed me yet? Have you seen this …? Copy formulas to get your audience attention. Writing a title is like flirting with someone, you need to listen to your reader first, then think on something that will get there attention. You’re going to get every one’s attention if you talk about what benefits they will get from you or your producto/service, your audience need to think when they read your titles: This is what I just need! How many times you buy something that you don’t really need, but you buy it because you have the wish to have it, or you belive you must have it because it will help you to get something. We buy stuff becuse we have a wish of something. An finally, we need to make a CTA (call to action) we need to tell our readers what to do, buy, follow, subscribe, etc. If you have any doubts at the moment how to write a new blog post and you don’t have a good idea for a killer title, don’t forget about the power of the “how to” titles, help your audience to get that new skill they need to do better in life. 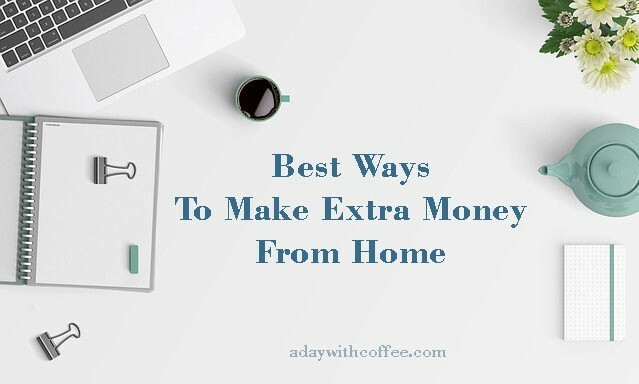 As you work to build up your blog, you’ll get more experience and confidence to write better articles for it, little by little you’ll get more followers and soon you’ll be thinking on monetizing it to start working from home. Taking your time to learn how to write a blogis a great idea, but you need to learn how to write the best titles for every article you write for your blog. It can take time to learn this new skill but I’m sure you can do it, with practice and preserverance you’ll be writing the best headlines to get your audience attentions and soon you’ll get enough followers to start working from home and run a successful online business. If you have any questions about this article, write a comment I will reply to it. 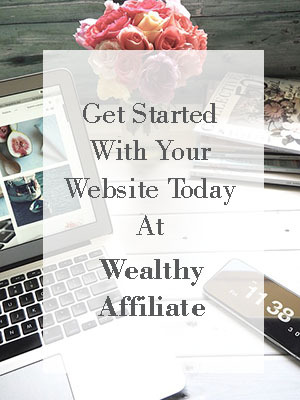 If you want to learn more about how to build up on online business read here. Great article Alejandra. You are so right. What’s the point of a great post or article if attention is given to a great headline to attract people to read it. Very helpful tips too, I am bookmarking this page for when I write my next post tomorrow. Hi, this is a very interesting article. I still struggle sometimes when it comes to writing good titles. I’m glad to find so many tips here. I heard I should make my URL, permanent link timeless, means, have no numbers in the URL so if you want to add more tips later it doesn’t affect the URL. Isn’t there any free program available helping us find a good title for our articles? This is something that I have struggled with from the get go. You have made it a lot easier to come up with the titles for my blogs. I really like the first tip about adding numbers to the title. Using odd numbers is really good tip and very insightful, I would not have known to do that. Should every post include a number or just every so many? Thanks so much for taking the time to visit my site and leave a comment, I’m glad you found my article helpful, about your question, it’s better to have different types of titles in your website, this will help your website to rank better. This information is so helpful and so true. I never really put much thought into titles, other than making sure to use good keywords. Once I started reading your tips, I started to realize that those things all influence me when I look for articles to read. Moving forward I will definitely be putting more thought into the titles I choose.